Backed by advanced manufacturing unit, we offer a wide gamut of pipe clamps that are used for supporting and stabilizing vertical pipe runs. Our range of pipe clamps are widely acknowledged for their high strength, accurate dimensions, corrosion resistance and long working life. 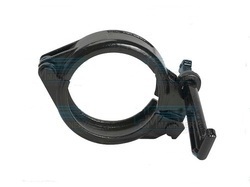 We are reckoned amongst the clients for offering broad range of Lever Type Clamps. Our products are highly acknowledged amongst the clients for their effectiveness. We offer Lever Type Clamps to our patrons as per their needs. Moreover, we offer Lever Type Clamps to our clients in recommended specifications. 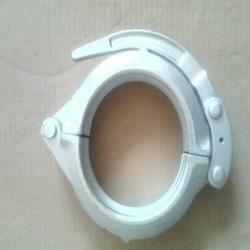 With the help of our professionals, we are capable in offering high quality Concrete Pipe Clamp. It has been originally designed by power deals engineering works to provide a high and even tightening force around the entire pipe, low leakage and be vibration-proof. The wide range of standard clamps covers most pressure. We are manufacturing concrete pipe clamps for Sany/Schwing/Putzmeister/Zoomlion Pipelines.We are manufacturing Wedge type & Snap type Coupling. We offer all types of clamp to our client as per requirement. We have gained a remarkable position in this domain and are indulged in offering an excellent quality range of Concrete Pump Pipe Clamp Coupling. This Concrete Pump Pipe Clamp Coupling is made in compliance with set market quality standards. Offered products are duly tested for quality by our quality team.